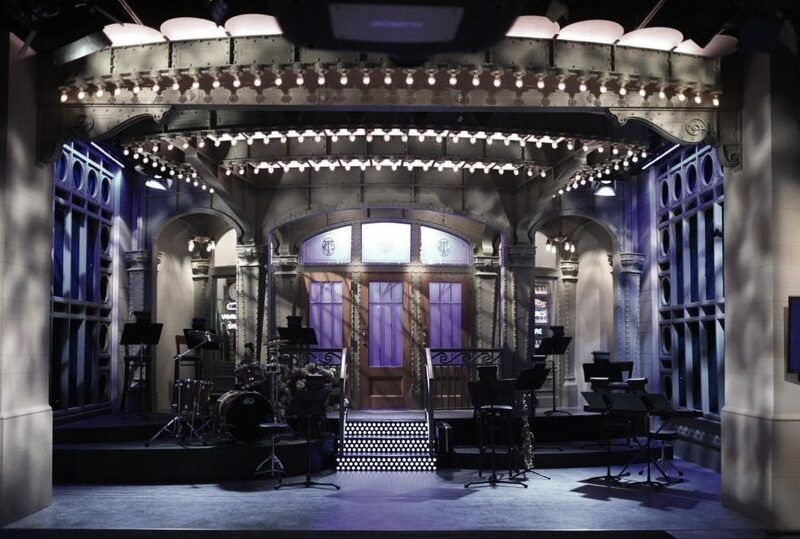 The cast and crew of SNL is close to getting back to work after a multiple week hiatus which the variety series takes every year at the holidays. Tonight at 11:30pm on NBC, will be the last of the repeat episodes before Saturday Night Live returns with live shows starting next Saturday, January 19th. The final rerun of this particular SNL break is hosted by Steve Carell, who was returning to Saturday Night Live after a decade to host for his third time. During his monologue, Steve Carell admitted that he had no new project to plug, even though his latest dramatic effort “Welcome to Marwen” as well as his most recent comedy, “Vice” are both still in theaters everywhere. 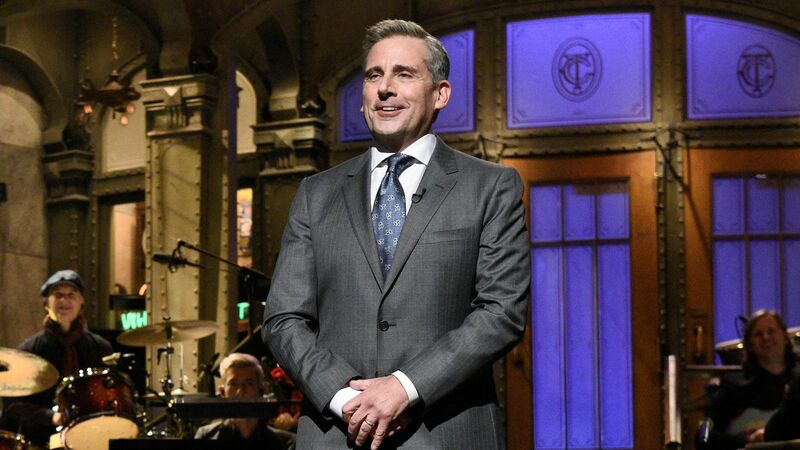 Fans of Steve Carell’s television work on the American version of “The Office” will definitely want to stay up tonight to watch the monologue portion of this evening’s repeat SNL, and that especially goes for fans of when Saturday Night Live uses surprise cameo appearances including the host’s real life family. The SNL – Cold Open tonight features a new recurring sketch that the Saturday Night Live writers had just used for a cold open in the Jonah Hill-hosted episode which aired just two shows prior to this one. Apparently, SNL EP Lorne Michaels has no fear of burning this sketch out too soon. The opening features cast member Kate McKinnon as Fox News’ Laura Ingraham hosting an edition of her show, “The Ingraham Angle“. This political sketch is basically a Trump opener for the show, but without Alec Baldwin. All the jokes at the expense of Fox News are still there, even if their poster boy Trump isn’t. McKinnon is assisted in tonight’s repeat cold open by cast member Cecily Strong returning as Fox News commentator Judge Jeanine Pirro along with one of cast member Alex Moffat’s recurring characters Facebook CEO Mark Zuckerberg and cast member Leslie Jones as Congresswoman Marcia Fudge (D) – Ohio. The cold open is definitely worth catching again just to learn about what Ingraham calls “Fox News Feel Facts,” things that feel like facts to FNC viewers even though they couldn’t possibly be true. Other sketches on the bill tonight include host Steve Carell as a dad who wants to surprise his kids with a trip to Disney World and it turns out that the kids are the ones with a surprise for him. Also, there’s a sketch featuring the crew aboard the International Space Station on NASA Television doing an educational broadcast to schools across the country when an airlock mishap leaves the lovable animals on board the space station cold. Really cold. The final sketch of the night is “RV Life” about some adult children who visit their newly retired parents who are now living life on the road in an RV. Watch for yet another brilliant performance by featured cast member Heidi Gardner who steals the sketch and proves once again why she’s one of our favorites. The three SNL – Digital Shorts include Steve Carell doing a fantastic job as Amazon CEO Jeff Bezos discussing his company’s expansion into Virginia and New York City in a message from Amazon that in no way is meant to troll President Donald Trump at all. There’s also a new music video short starring Pete Davidson and the man who is quickly becoming King of the Shorts, featured cast member Chris Redd. The video is the “RBG Rap” and his a hip-hop tribute to recently injured Associate Supreme Court Justice Ruth Bader Ginsburg played masterfully by Kate McKinnon. The final SNL – Digital Short of the night is a parody spot for “GPYass“, a new GPS system for your car where the directions and advisories are given out by drag queens. The spot ends with a big musical number featuring Cecily Strong along with some real life drag queens and Go-Go Boys. Yass! Weekend Update hosted by Colin Jost and Michael Che expand on Amazon and its plans to open a plant in Queens, N.Y. There’s also comedy commentary on Florida ballot machines malfunctioning during the state’s election recounts, Babe Ruth receiving the Medal of Freedom honor, the criminal justice reform bill, accusations against Trump confidante Roger Stone, Sour Patch Kids flavored cereal, a UFO spotted over Ireland, the 2019 NYC Taxi Driver Calendar, and a British woman hiding cocaine in her daughter’s Halloween candy. Coming to the Weekend Update desk tonight on a repeat SNL are cast member Mikey Day as Virginia Republican Congressman-Elect Denver Riggleman who also dabbles in Bigfoot erotica (true story!) and the worst thing to ever happen to the NBA, basketball dad / agent Lavar Ball played by cast member Kenan Thompson to talk about the slow start to the Lakers season. In the first of the promos which you can watch below for tonight’s repeat Saturday Night Live, cast members Aidy Bryant and Chris Redd have some concerns about host Steve Carell doing comedy again after all his dramatic roles. We find that Steve is taking his comedy very seriously. In the next set, Steve Carell is joined by musical guest Ella Mai and Kenan Thompson as he tries out some new stand up and the guests offer some Thanksgiving wishes. Tonight is the final Saturday Night Live rerun before the show returns live from its mid-season hiatus. It stars host Steve Carell with musical guest Ella Mai and it happen this evening at 11:30pm on NBC. A quick note on the airtime for tonight’s SNL. Today, NBC is carrying the Colts – Chiefs NFL Divisional Playoff game and kickoff is at 4:35pm et. So, depending on how long the game goes, Saturday Night Live may have a delayed start time this evening if the game goes late or even possibly into overtime. And join SNL next Saturday, January 19th when the show returns live coast-to-coast with host Rachel Brosnahan from “The Marvelous Mrs. Maisel” on Amazon Prime with musical guest and Greta Van Fleet.